MINFOPRA Cameroon Professional Entrance Exam 2019-2020. Professional Stores Accounting Entrance 2019-2020 MINFOPRA Cameroon recruitment of personnel into the corps of Stores Accounting civil servants. Nursery, Primary and Teacher Education Entrance 2019-2020 MINESEC MINFOPRA Cameroon professional concours. Computer Science and Tele-informatics Entrance 2019-2020 MINFOPRA Cameroon Professional concours. Entrance into Technical and Vocational Education 2019-2020 Cameroon MINFOPRA recruit personnel. Entrance Recruitment of 300 High School Teachers 2019-2020 MINESEC Cameroon professional concours. 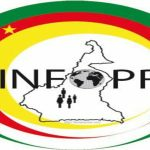 MINFOPRA Cameroon Professional Entrance Exam 2019-2020 recrutement www.minfopra.gov.cm recrutement into public service 2019 Cameroun.